I’m trying to put on a just a teeny weeny bit of weight back. Just before CNY, my weight went down to 44.1 kg. That’s almost my weight when I was a teenager! It’s a surprise that after my fibroid removal 1.5 years ago, my body just does not crave for anything sweet anymore. Foods that are greasy turn me off. It’s as if my body knows that these are toxins which could potentially cause another fibroid to grow in my uterus. Would you believe me if I told you that I don’t have much food cravings? I used to be a durian lover but not anymore. My throat would sting each time something terribly sweet touches it. My throat has transformed into a hyper state, where if I eat anything that’s overly sweet or fried with recycled oil, it would burn! Guess this is a blessing in disguise as I don’t touch sweet and fried foods as often as I used to. I hardly eat them these days. This is also why I lost some weight when I removed considerable amount of sweet and greasy foods from my diet, but not completely. We still need a little sugar and oil in our body. For breakfast today, I had a small piece of wholemeal bread with organic butter and some cookies, followed by half a packet of organic roasted Korean seaweed. Today Cass my forgetful girl forgot to bring her purse to school again! I only realized that she had left her purse behind at around 8 a.m. On the spur of the moment, I wanted to drive to school right away to save her before her recess starts. Just last week, she had forgotten to put money into her purse and had to borrow money from her class teacher. If I keep popping up at her side like her 24-hour guardian angel at the onset of a problem whether it’s due to her negligence or not, am I helping her? Would my cosseting parenting do more damage than good to her? She would then think that mummy will always magically pop out like a genie in the bottle to solve all her problems, thus she would never use her logic and interpersonal skill to think of a solution. 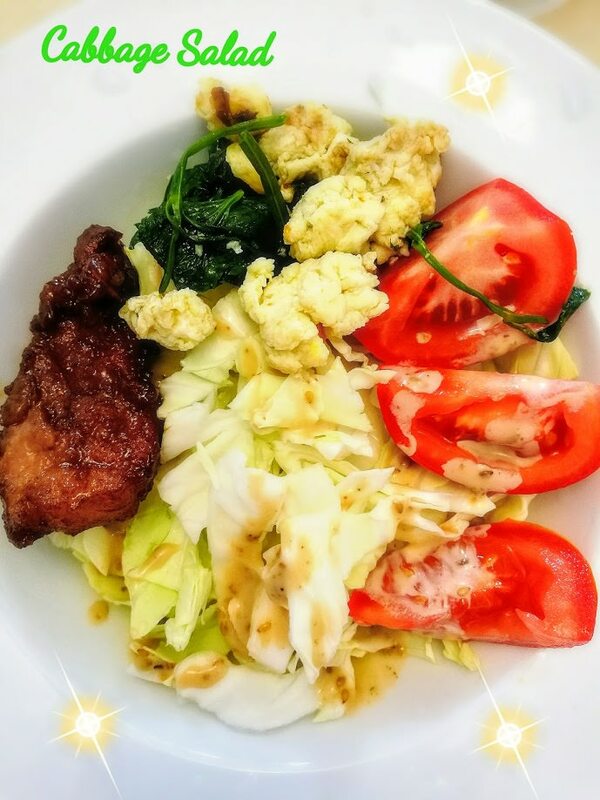 My salad today is composed of organic cabbage, organic tomato, cilantro omelette and a small piece of pork chop; drizzled with sesame seed dressing. Super love the crisp and crunch of the raw cabbage. I could eat this everyday! Cabbage is a rockstar vegetable: it’s cheap, versatile and packs a seriously healthy punch. If you’re trying to save money, cabbage is practically a steal at only a few Ringgit for a medium size head of non-organic cabbage. Organic ones are about double the price. 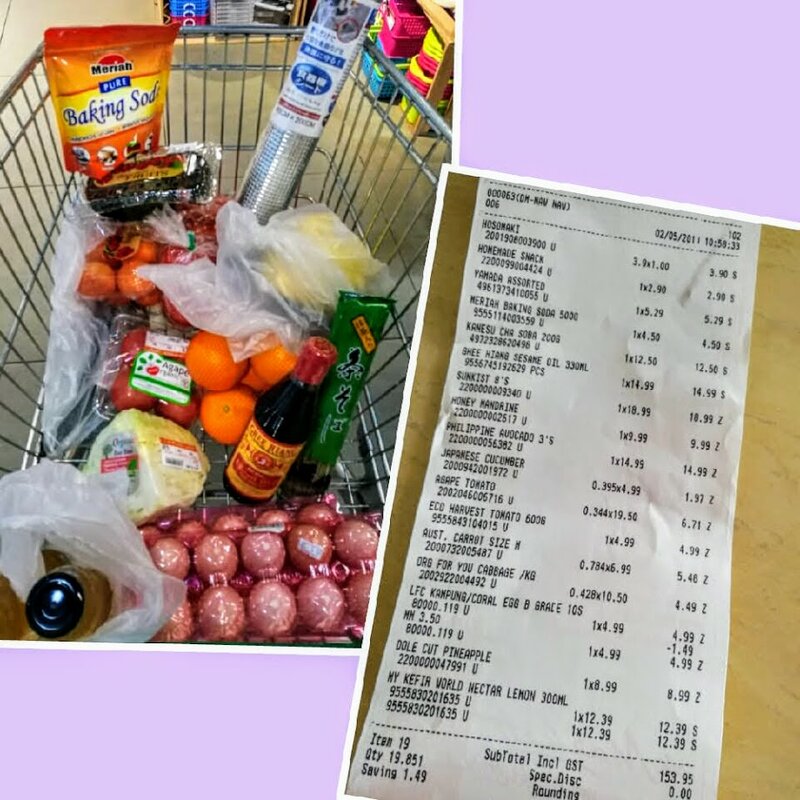 I spent RM4.49 on a quarter head of organic cabbage. It’s still way cheaper than imported organic alfalfa sprouts, kale or hydroponic vegetables. Cass was lucky that today a few of her classmates brought junk food snacks to school for a joint birthday celebration in the class. So she had junk food snacks for her recess at 10 a.m. and saved the small parmesan cheese bun that I gave her for lunch at 1:15 p.m.. She also had some free ‘chap fan’ (economy rice) from C, her bestie. C’s mum orders catered food from the canteen just so she has a place to sit comfortably in the canteen during recess and lunch. But C doesn’t eat the food from the canteen. Her driver and helper would bring food for her on most days. So that was how Cass managed to go by today in school without a sen in her pocket ~ with junk food, pecking on her friend’s lunch (which was also shared with another classmate) and a small parmesan bun. And a packet of Izumio hydrogen water (her antioxidant water) on top of 1,ooo ml of water in her tumbler. Eating colours is always a very good idea and I take great pains to ensure that my girls and I do. Even on super busy days, I include an organic raw tomato into their fruit box. I prep a fruit box or a smoothie for the girls every day. In fact raw tomatoes are a staple in our fridge and the girls and I eat them every other day. As it is often said, eat the rainbow to ensure that you are feeding your body super nutrients that equip your cells like defense weapons against every day stressors and aging. Eating a variety of colorful fruits and vegetables will maximize the body’s ability to heal daily and prevent against all forms of diseases and cancers. 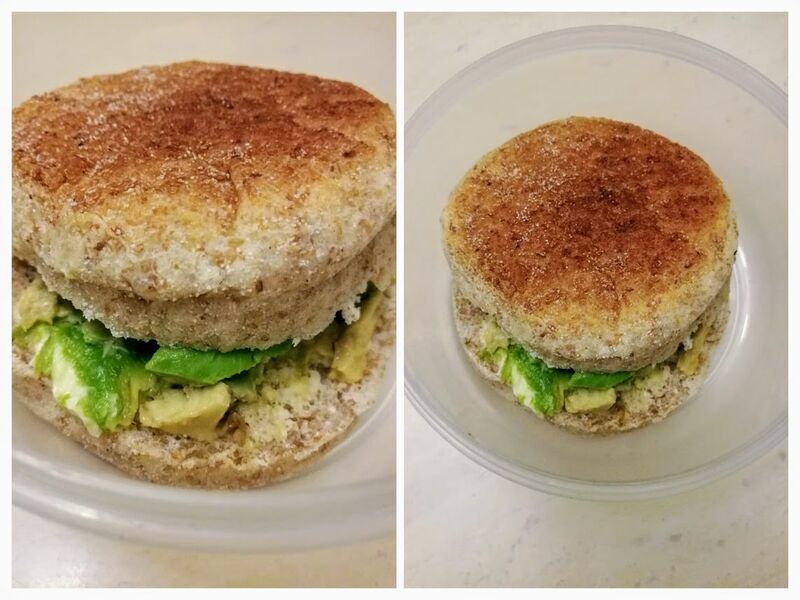 The first meal of the day at 5:15 a.m. for Cass was a slice of wholemeal bread with butter and avocado. Half a banana. Bananas are good and inexpensive prebiotics to include in our diet. Prebiotics are food for probiotics, the good bacteria in our guts. 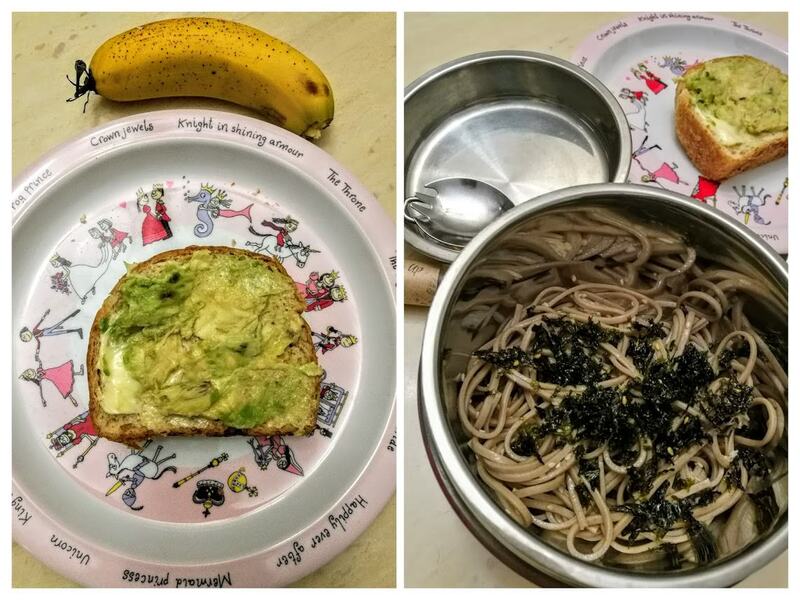 Lunch box for recess for Cass was organic buckwheat noodles seasoned with sesame seed oil, sesame seeds, organic soy sauce and Korean seaweed. Alycia had a wholewheat English muffin with butter and avocado for breakfast. Fruit of the day was smoothie ~ a blend of apples, oranges, organic New Zealand spinach, juice from one lemon, Manuka honey and a powerful shot of Ningxia Red from Young Living. 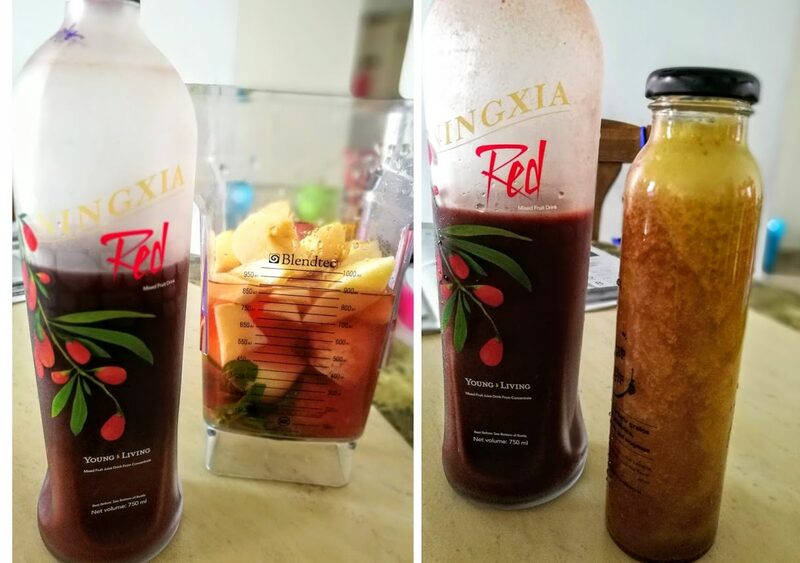 NingXia Red is a powerful juice drink that contains whole Ningxia wolfberry puree — a super blend of blueberry, aronia, cherry, pomegranate, and plum juices, natural stevia extract, grape seed extract, pure vanilla extract, and orange, yuzu, lemon, and tangerine essential oils. Let me know if you want me to help you buy Ningxia Red at wholesale price (email shireenyong@gmail.com). 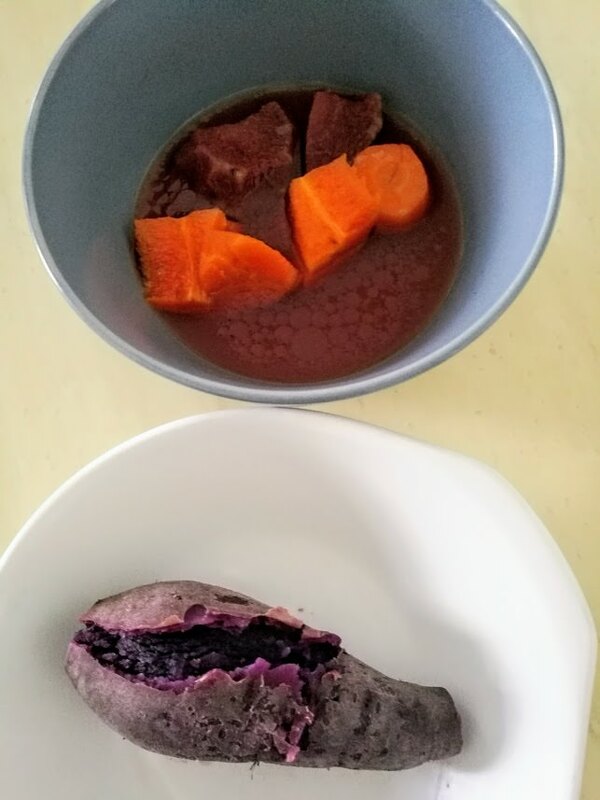 Tea time for me was boiled purple sweet potato and a bowl of red soup of beet root and carrots. 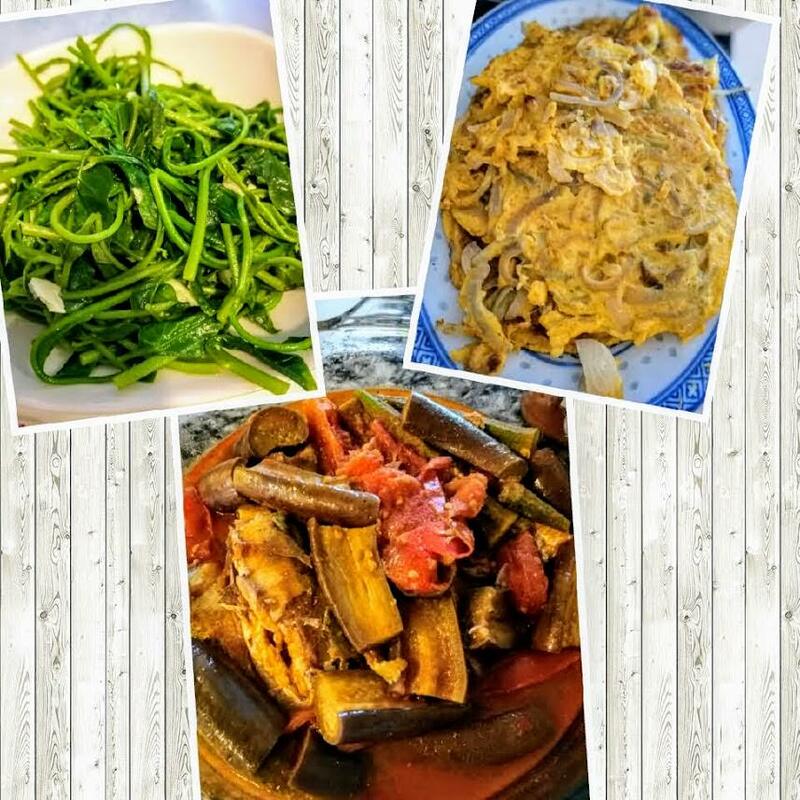 Dinner was yet another traffic light colors meal consisting of sauteed organic NZ spinach, onion egg omelette and Tomyam fish with colorful vegetables (brinjal, tomatoes, ladies fingers). I love everything colorful, including my meals. 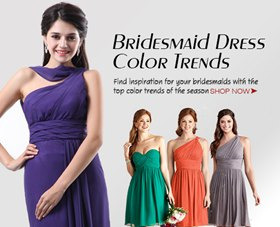 Just looking at these bright colors set me in a good mood. It’s no secret that eating the rainbow can help you succeed with your weight loss goals, not to mention the array of nutrients you feed your body. And coat your body with the nutrients it needs. These colorful benefits can strengthen your immune system, promote a healthy heart, create radiant skin, and even help you live longer. 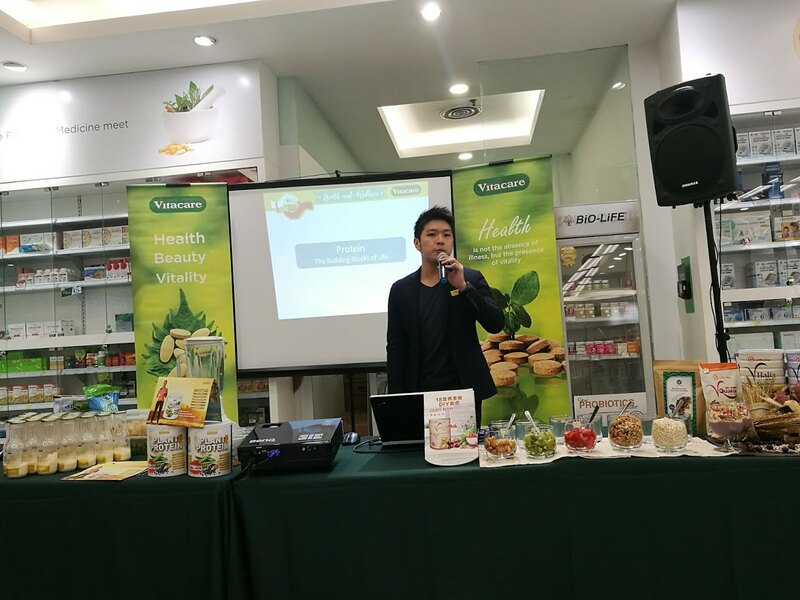 I love attending Vitacare Pharmacy’s events and always look forward to receiving invites for its events which focus on healthy eating and living. I never fail to learn something new at each of its event. 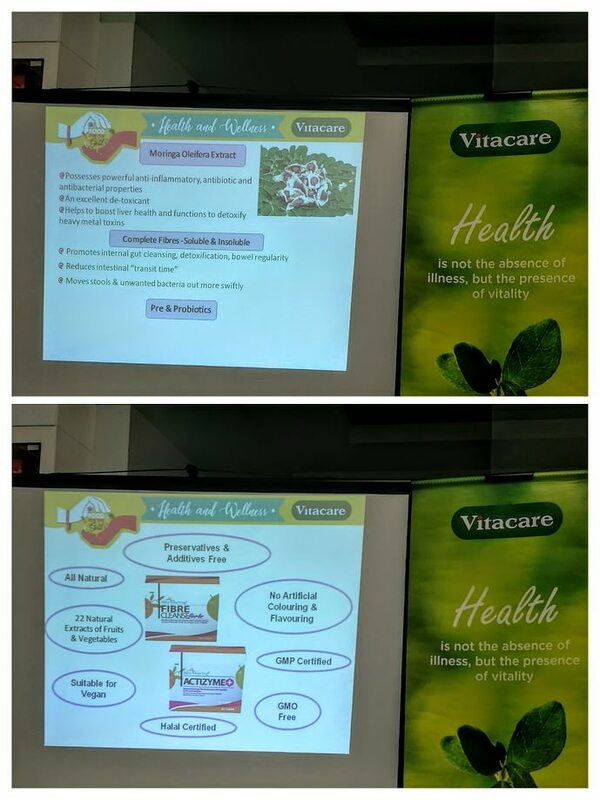 The latest Vitacare event that I attended was held on 20 April 2018 at The Gardens Mall. 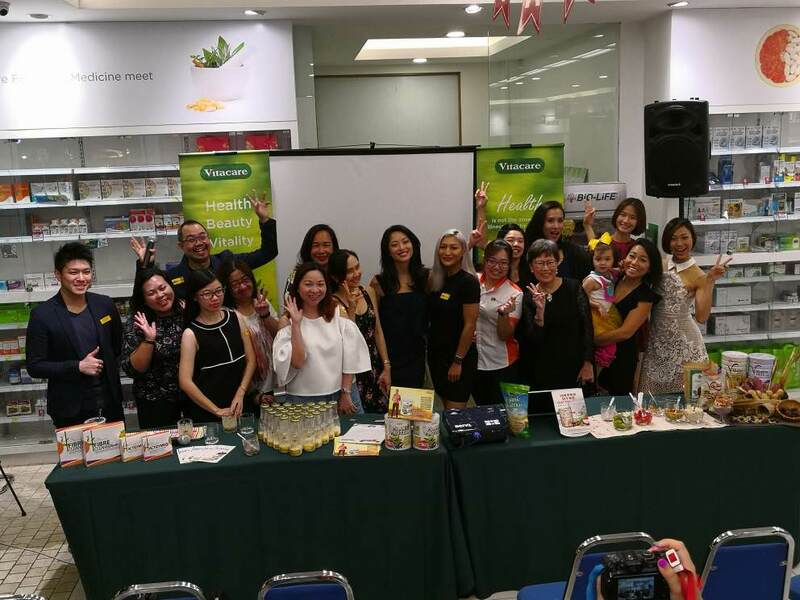 Titled ‘Food For The Soul’, we were given tips on the preparation of easy yet wholesome meals using only natural and healthy ingredients. 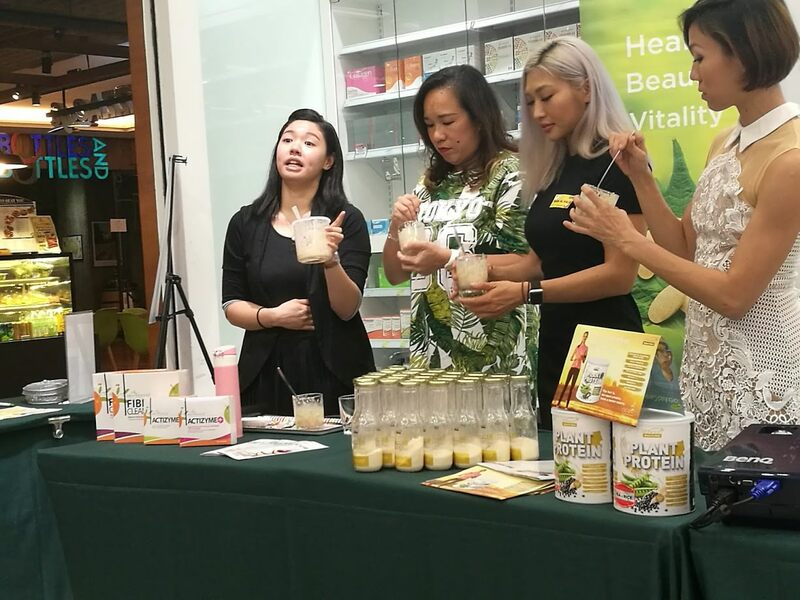 We were also introduced to several healthy beverages made from superfoods carefully designed for the health of our guts and overall health of our body. 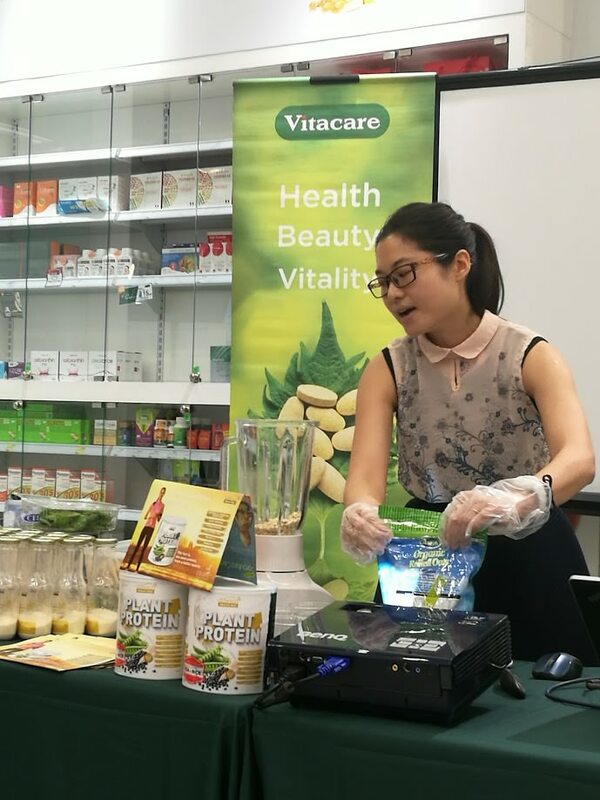 There was a demo on how to use V Grains purple powder to blitz up a delish snack / dessert, which provides so much sustenance that it can be eaten per se as a meal replacement for those on a diet. 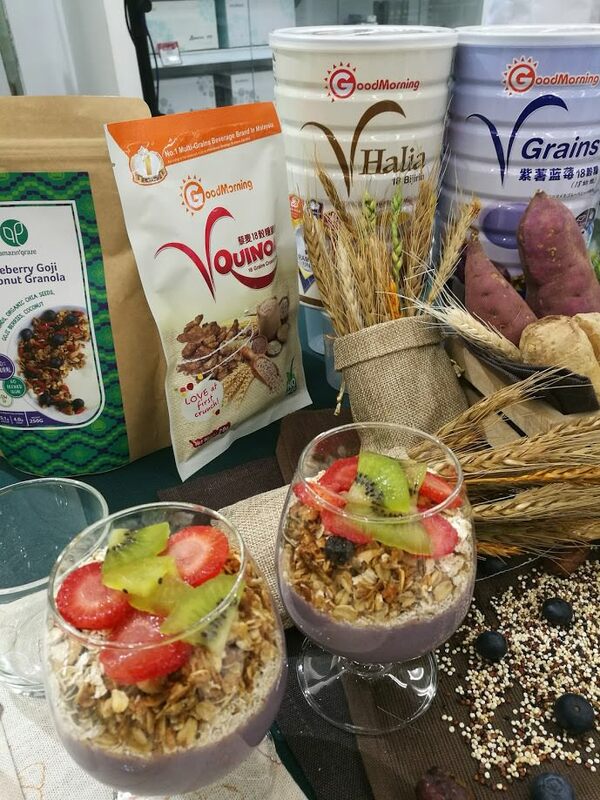 Everyone was given a cup of V Grains power-packed snack concocted by the team from Good Morning to bring home, together with a recipe book and CD. 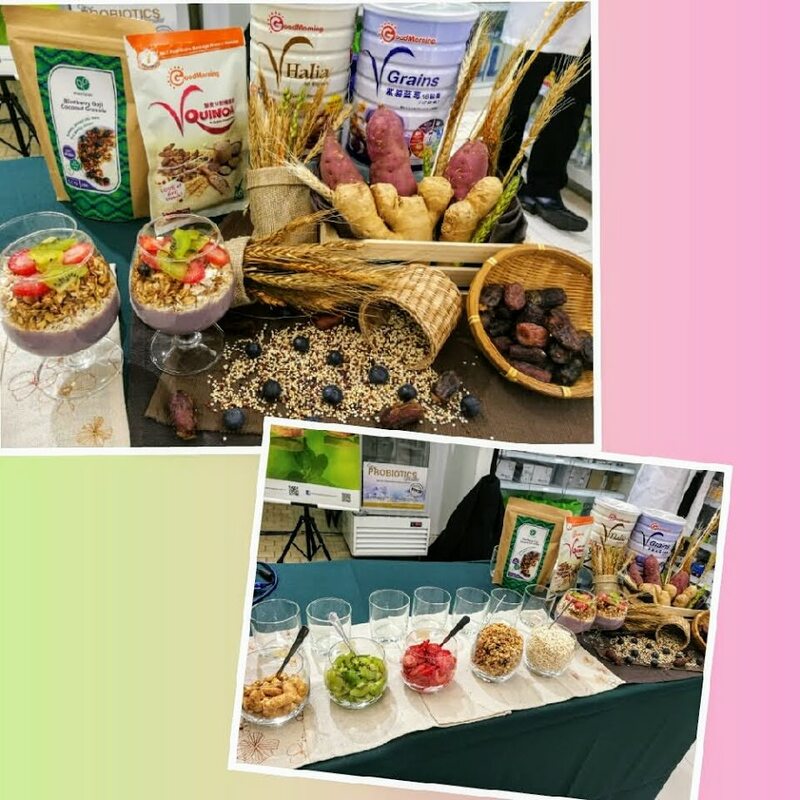 I was amazed to see how V Grains 18 grains powder can be used in so many creative ways to whip up an endless list of mouth-watering desserts and dishes. VGrains 18 Grains is made up of 18 types of premium whole grains with 5 colours of phytonutrients. 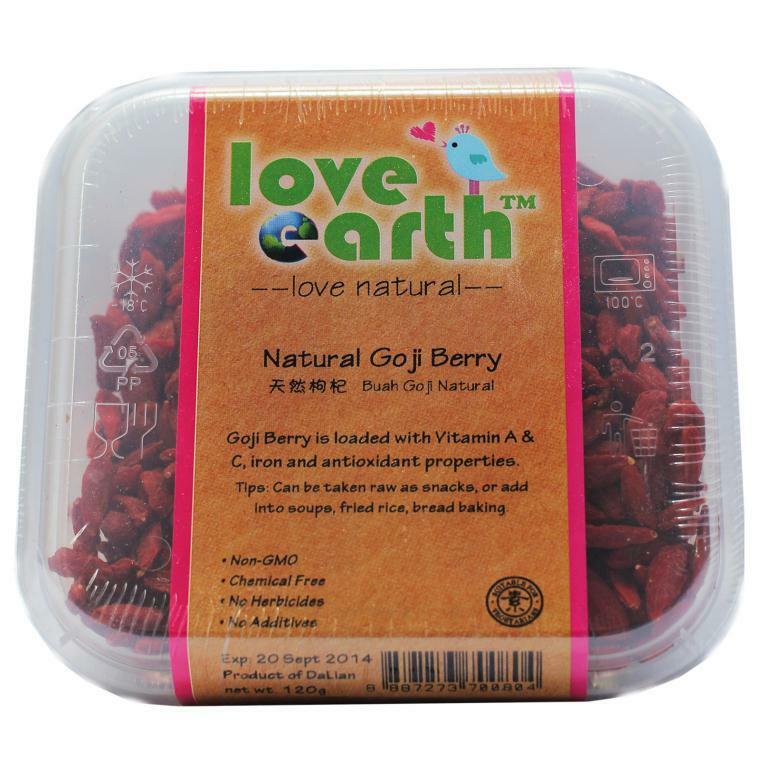 It is also added with 7 unique ingredients including purple sweet potato, blueberry, lutein, calcium, soya lecithin, prebiotic inulin and water soluble fibre. Beans, peas, nuts, seeds, soy and lentils are some of nature’s treasures. They are a powerhouse of good nutrition, a good source of plant protein, loaded with disease fighting phytonutrients, cholesterol-lowering fiber and naturally low in cholesterol and sodium. A diet focusing on plant-based protein sources can be beneficial for helping to prevent diabetes, cardiovascular disease and mortality. 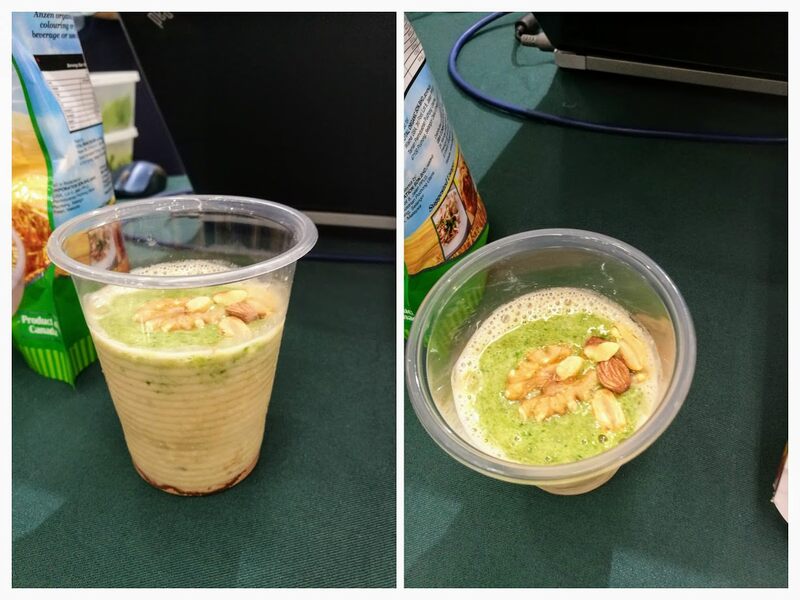 This nutritionist concocted a delish smoothie composed of plant protein powder + organic rolled oats + green leafy vegetables + a pinch of salt (blitzed together), flavored with raw cacao powder and raw nuts. I was given the privilege to try the smoothie, right out of the blender. Though it’s thick and some thought it would taste yucky but surprise surprise, it was pretty good! Nutty, oaty, chocolaty, milky and refreshing from the raw vegetables. This is a balanced cup of meal complete with carbs, protein and fiber, all in one. And it’s super low in calories and fat too. I had a cup of this and it filled me up pretty well, so much that I wasn’t even hungry when it was time for lunch. 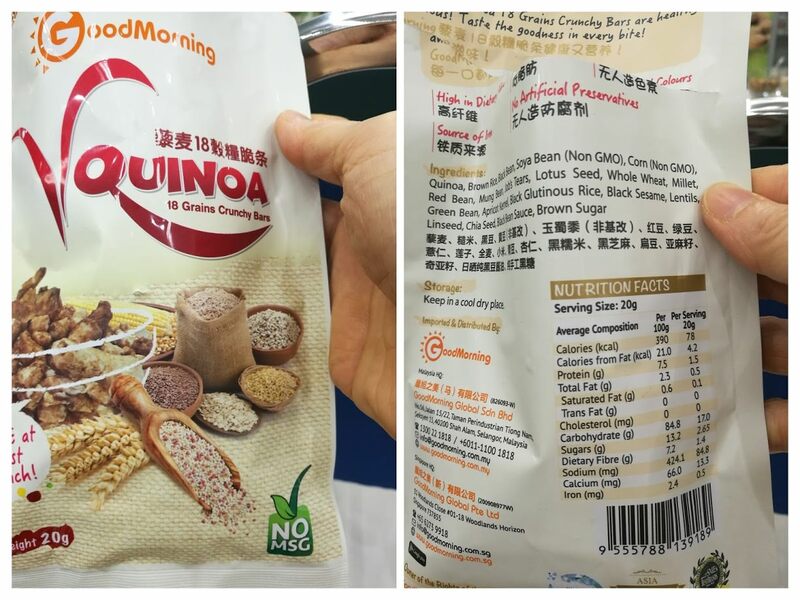 This V Quinoa 18 grains crunchy bars healthy snack from Good Morning got everyone raving about how delish it is. We were passing the bag of snack around and everyone just couldn’t get enough of it. This product will only be officially available at selected supermarkets and pharmacies in June 2018. It’s made from healthy legumes and grains and tastes like pop corn. Our girls were fighting for the snack and it sure isn’t enough for the 3 piranhas haha! 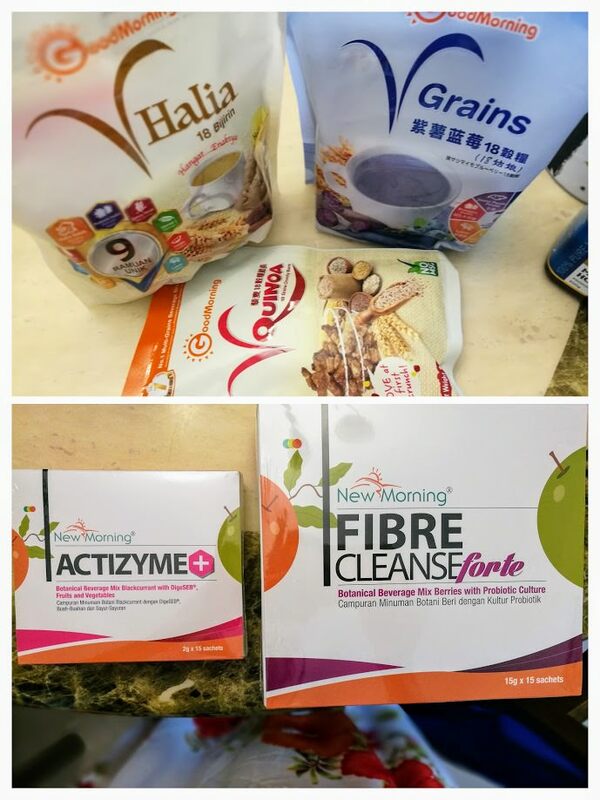 Fibre Cleanse and Actizyme from New Morning ~ something for the health of your guts. “You are what you eat” Agree with me on this popular adage? It’s actually “you are what you digest and absorb”. And this means you need to have healthy guts for good digestion, absorption and elimination. 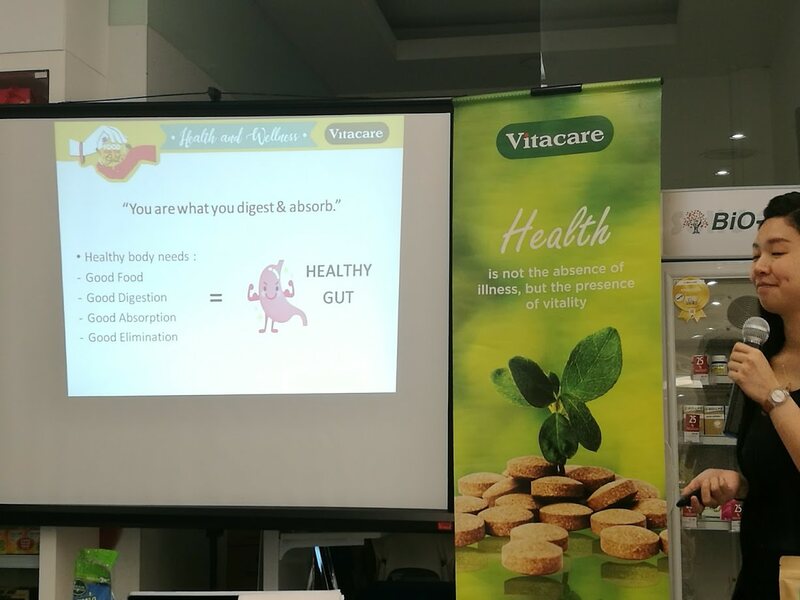 This is something that I learnt at the event from the nutritionist. For those of you who need a little nudge in your bowel movements, New Morning FibreCleanse Forte might just be the answer. 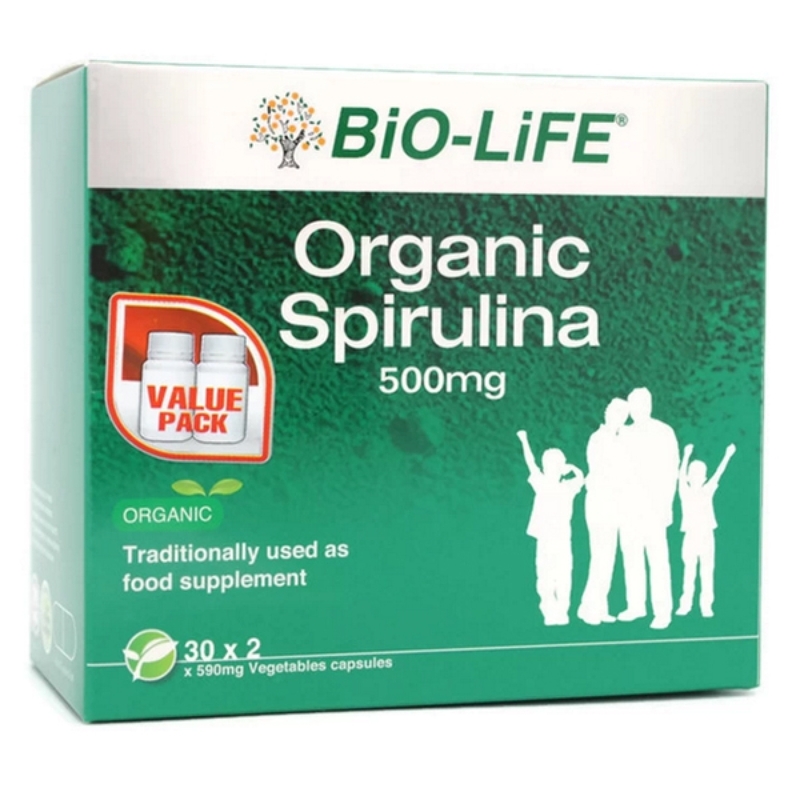 It helps to promote bowel regularity, promote healthy gut microbiata balance, healthy GI tract, better gut health and is 100% laxative with no laxative. Made from 11 fruits, 11 vegetables and Moringa Oleifera extract, FibreCleanse Forte also helps to promote internal cleansing and detoxification. It’s amazing to see that with ActiZyme added into a thick oat paste, the paste gradually melted and liquefied. That’s how the enzyme in ActiZyme digests food in our guts. 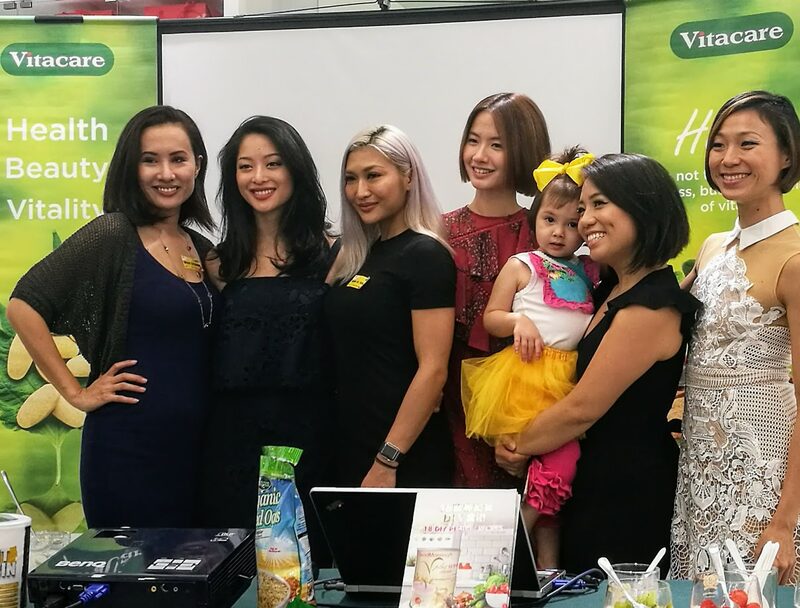 VIPs at the event include Sarah Lian, a local and international actress and other celebs. As with previous events, Vitacare is extremely generous with their goodie bags. I always look forward to receiving it. 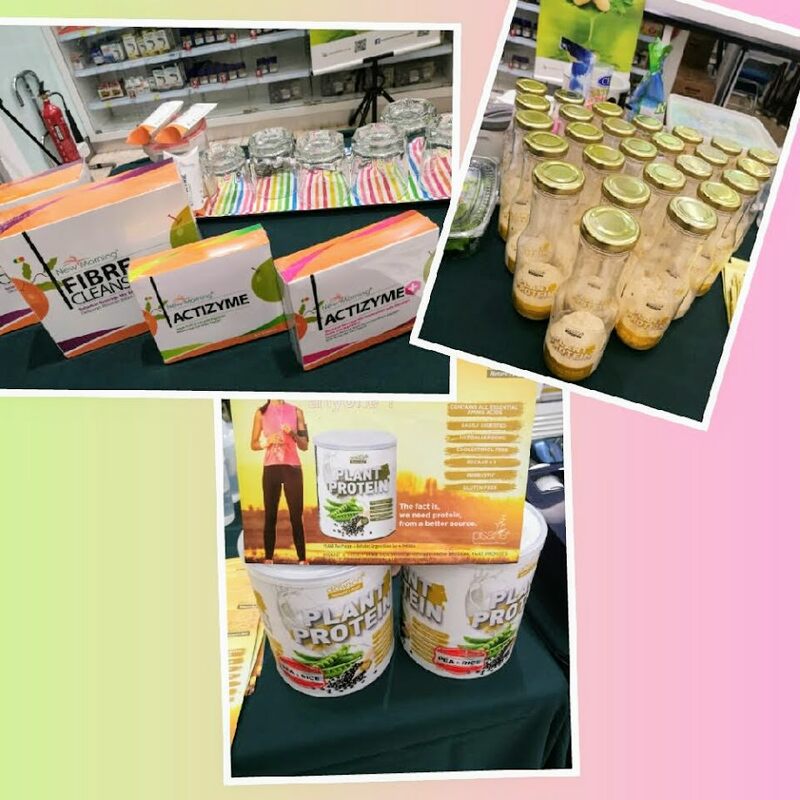 All the products promoted at the event were included in the goodie bag, yippee! And an awesome bottle of high grade MGO 250+ Manuka honey from New Zealand too, which costs over RM100 a bottle! Today there’s a quiet revolution going on, and it’s a revolution that has to do with restoring people to a perfect state of health. This healthy way of living, feeling and behaving isn’t about taking daily doses of medications and following a rote set of rules. It’s about living well in the perfect state of health we deserve, by eating food that is nutritional and delicious, and that feeds us in a way we are meant to be fed. There are plenty of diets available today to anyone who is interested in signing up for an expensive fad that doesn’t really get them on the road to great health. What many nutritional experts (like a colorado nutrition consultant who has been making breakthroughs in helping people achieve perfect health) are talking about is getting healthy by eating what’s naturally good for us. We live in a world that’s filled with plenty of processed, prepackaged foods that are loaded with preservatives, added sugar and empty calories. These foods are causing many people to put on extra weights, lose their natural energy, and add extra stress to their heart and other vital organs. What’s the answer? 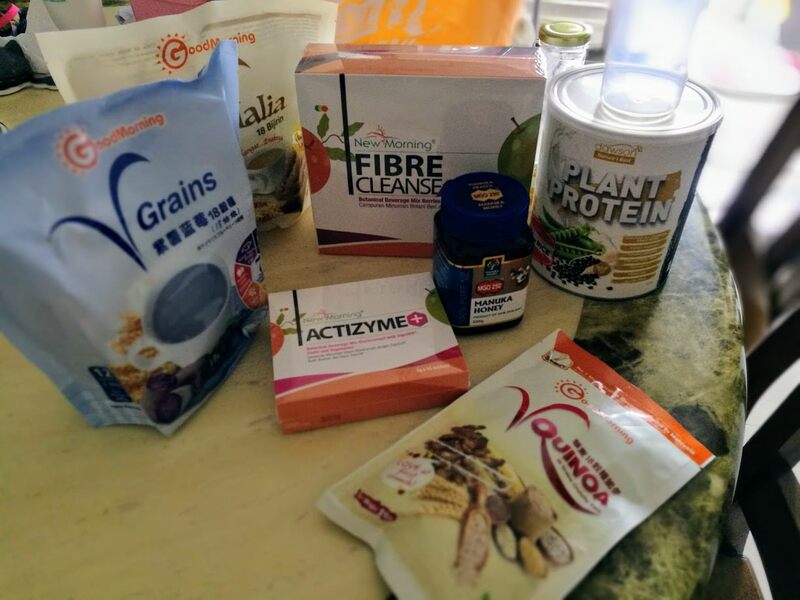 Top nutritional consultants today say that the answer is to take advantage of all the great natural food that is inexpensive and easily available to us. In generations past, people lived on farms and ate the food that grew naturally all around them. 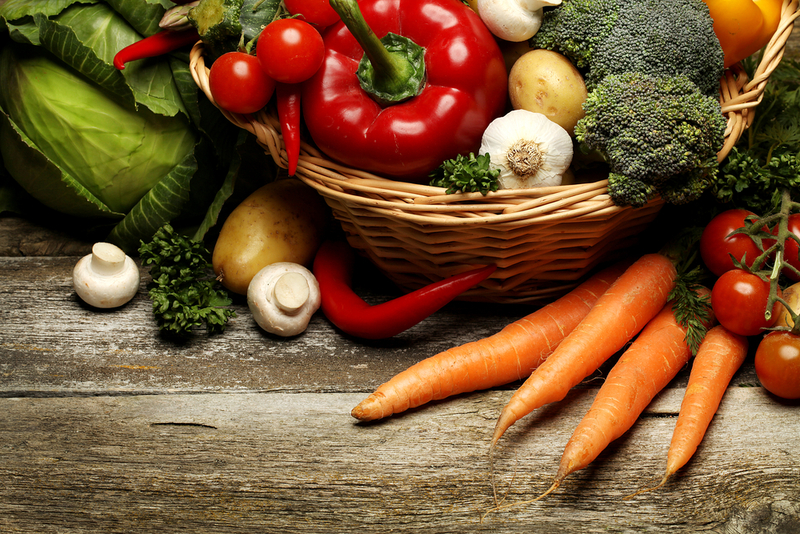 Today, we have too much access to food that is poor in real nutrients, but high in calories. We need to get back to a more natural way of living and eat fresh food on a daily basis. A diet that includes fresh fruit, vegetables, legumes, grains and nuts will supply a body all the nutrition they need to be well and to stay active. Good health shouldn’t be a secret. By embracing all the natural abundance that surrounds us, we can enjoy vitality and energy, without sacrificing great taste and the enjoyment of a delicious meal. How Safe Is Your Family In Your Own Hands? Nothing matters more to me in this world than the health and safety of my family members. I’d do anything to keep my family members in the pinkest of health. 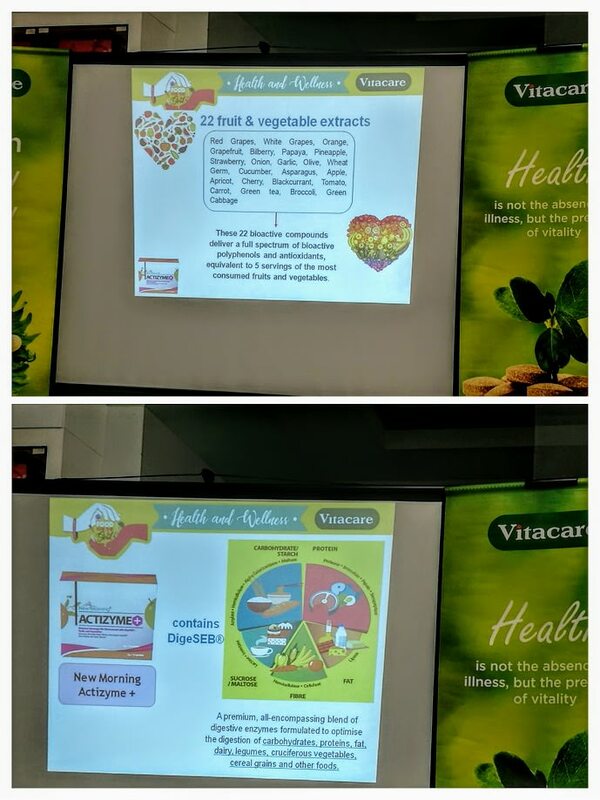 Some of the things that I do now to keep my children healthy is to give them a good brand of health supplements and ensure that they have healthy meals. I try to go organic as much as I can. I also buy toiletries and household cleaners that contain no harsh chemicals as much as I can. 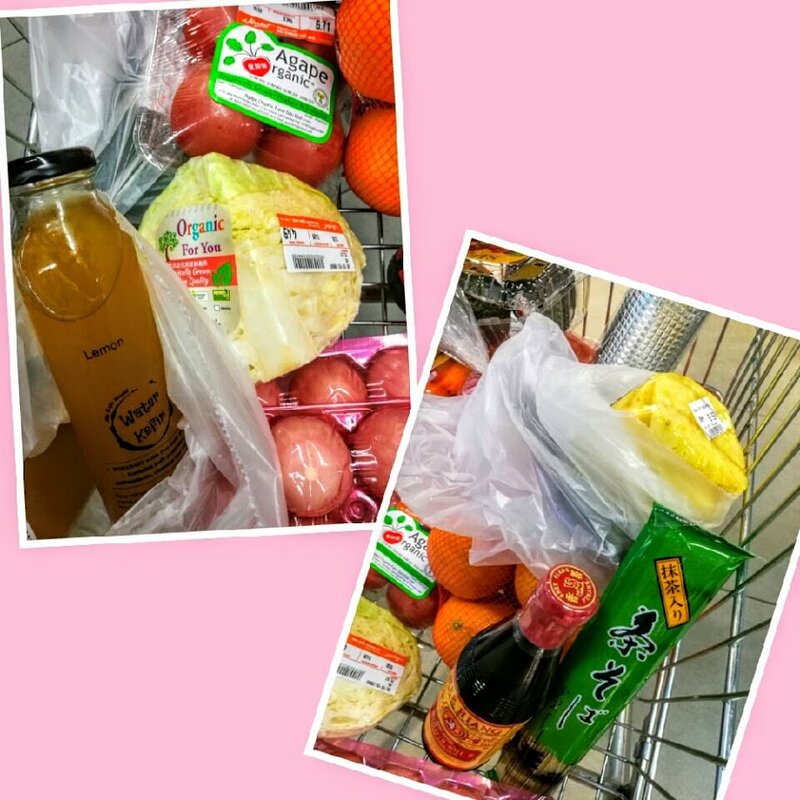 I am fortunate that I stay in a place where I can buy organic food and other healthy food stuff conveniently. From time to time, I have blog readers emailing me to ask me where I get my organic food stuff as their location makes it very difficult for them to get hold of such items. For those of you who have been desiring to purchase healthy food stuff, organic food, healthy personal care products and supplements but have no easy access to them, you can now shop for these items online at Green Wellness. Green Wellness is an online retailer that focuses on healthy groceries and preventive healthcare products through distribution of toxic-free and chemical-free premium products sourced from all over the world, conveniently delivered to your door step. What I like about Green Wellness is that they carry an impressive panoply of healthy products. 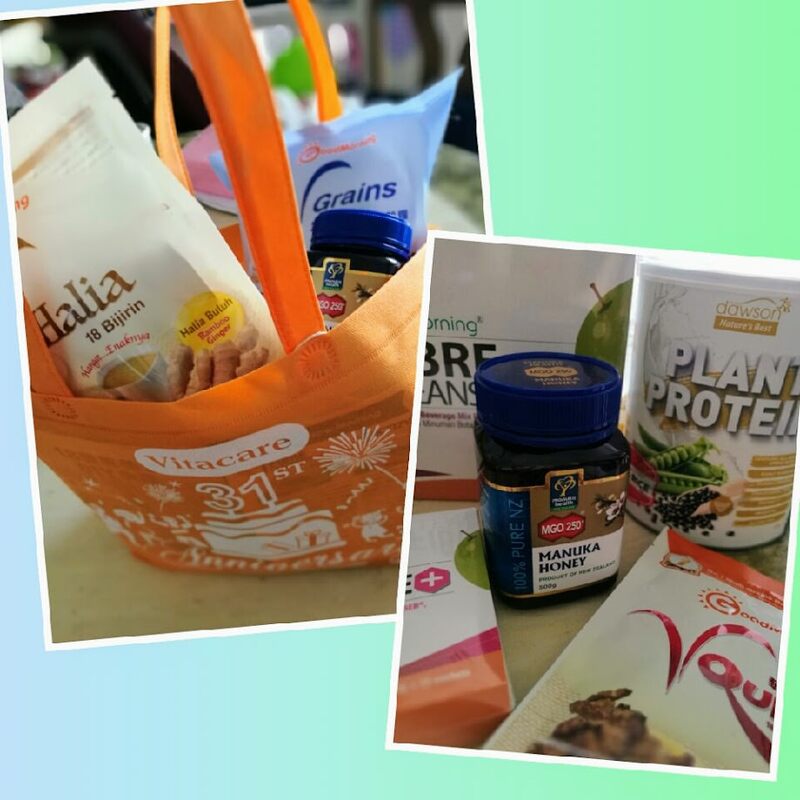 I could find organic spirulina capsules, organic oat noodles, organic sauerkraut, healthy snacks for my girls and much more interesting healthy items. I have already placed an online order for some healthy food items and can’t wait to receive them soon! 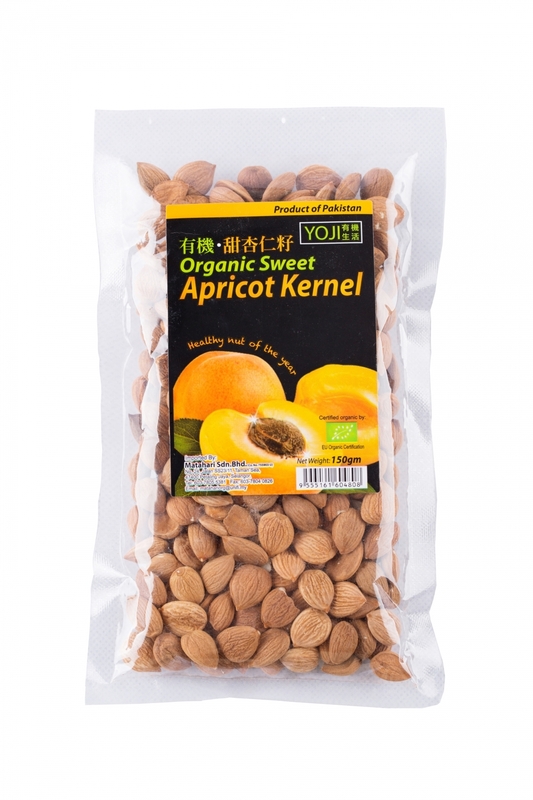 Did you know that apricot kernels contain Vitamin B17 which many cancer patients eat to fight cancer cells? Something Special For Health Freak Mommy’s Readers! Please check out http://www.greenwellness.my/pages/faq or contact their Sales and Customer Service team at sales@greenwellness.my or enquiry@greenwellness.my should you have any question on placing an order. On Thursday morning, Cass woke up at 3:45 a.m. to look for me. She complained that it was very hot. Her cheeks were flushed and lips were redder than usual. It is not a norm for her to wake up at this ungoldly hour to look for me and when she does, she is normally unwell. I gave her some water and got her to pee. She had complained of leg pain and slight headache the night before. Now, that got me very worried. Could she be having a UTI attack? One of Cass’ initial symptoms of a UTI attack are headache and leg / body pain. At 5:30 a.m. when I woke Cass up to get her ready for school, her body felt like a piece of burning charcoal. I was even more worried. I kept asking her if she felt OK and if she felt any pain at the bladder and kidney region. She said she felt fine but have developed a slight cough. Worries quelled. If she has cough / runny nose, I can safely rule out a UTI. And I asked her many questions on what she did the day before. It was after questioning her that I found out that when she stayed back for extra co-curricular activities the day before, they were made to run in the 2pm hot sun for about half an hour! With a sizzling temperature of almost 38C, kids can easily get sick from being grilled by the unforgiving sun or get a heat stroke. Even we adults may not be able to tolerate running round the track in the burning 2pm sun. I will surely have a headache if I am exposed to the hot sun for half an hour. Crazy teacher! I gave Cass her usual packet of hydrogen water the first thing when she woke up on Thursday morning. Then gave her another packet to bring to school. I told her to down the packet of hydrogen infused water when she reached school. And to call me from school should she feel unwell and want to go home to rest. When she got home that afternoon, her insatiable appetite seemed to have gone. She could not even finish her bowl of porridge. Her body was warm. After a shower, she asked for an ‘ice cap’ for her head and took a nap. An ‘ice cap’ which we both aptly named, is a frozen wet towel that I put on her head whenever she has fever. The next morning, Cass’ body got hotter. I took her temperature and got a shock with the 41 degrees Celsius reading on the thermometer. Thoughts of brain damage, febrile fits and hallucination raced through my mind coz a fever of 41C is really high. I continued to give her hydrogen infused water and her supplements containing carotenoids. But the hubs wasn’t happy that with such shockingly high temperature, I wasn’t giving his princess any fever medicine and pressed me to bring Cass to the doctor. I gave in under pressure, though I knew that I could bring the fever down the natural way. As I had already predicted, the medical officer on duty was super quick to prescribe Cass with antibiotics without even doing any test on her. I told him straight that I wanted no antibiotics and even wanted to tell him that I didn’t want any other oral medicine too. But I just paid for the prescribed flu meds to please everyone at home that I had brought Cass to the doctor and had brought medicine home. But I didn’t give Cass the flu meds. Except for the Volren suppository that the MO insisted to give Cass to bring down the high fever, I gave Cass hydrogen water (every 4 hourly), carotenoids supplements (3 capsules a day), raw honey with bee propolis (3 times a day) and showered her body many times throughout the day and night. Today (Saturday) Cass woke up with no more fever. Though she has thick goo and a slight cough, her ravenous appetite has returned, yay! When a sick child still has a good appetite, you can be rest assured that she is recovering and nothing major is brewing inside. No doubt, I was worried sick when Cass’ temperature kept hovering at 40 – 41 degrees Celsius the entire Friday. I always believe in healing the feverish body naturally and with lots of rest and not overload it with medicine. I made a big pot of Roselle tea for the family yesterday. My late grandma used to boil Roselle tea for us when we were younger. We would call the Roselle tea “Ribena” as it tastes very similar to Ribena and has the bright red color of Ribena as well. Roselle is a species of hibiscus native to West Africa. In Iran, it is typically known as sour tea; in English-speaking countries, it is called red sorrel. 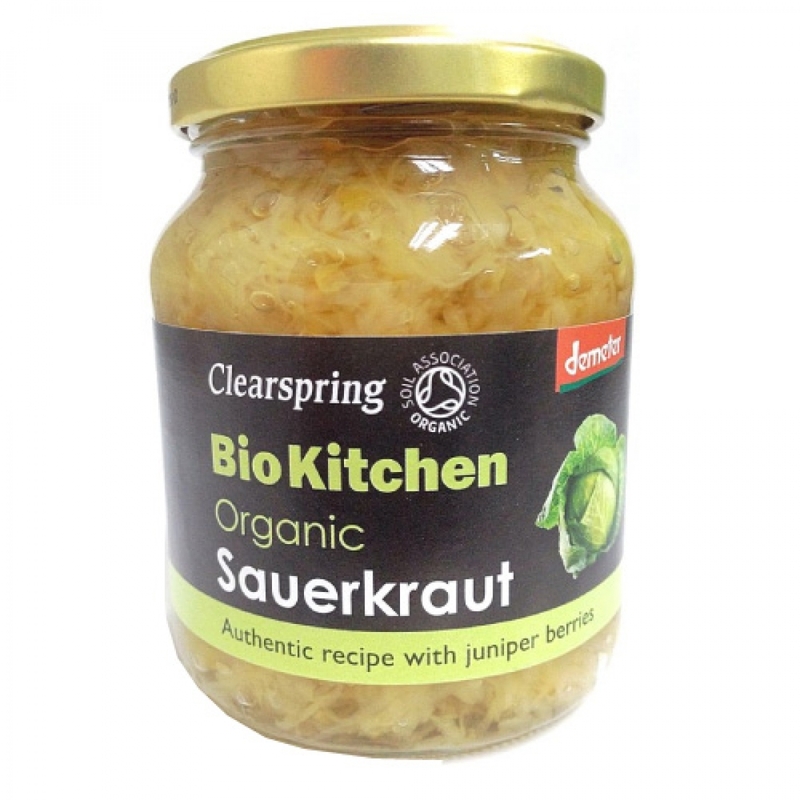 It is commonly used to make jelly, jam, juice, wine, syrup, gelatin, pudding, cake, ice cream and flavouring. 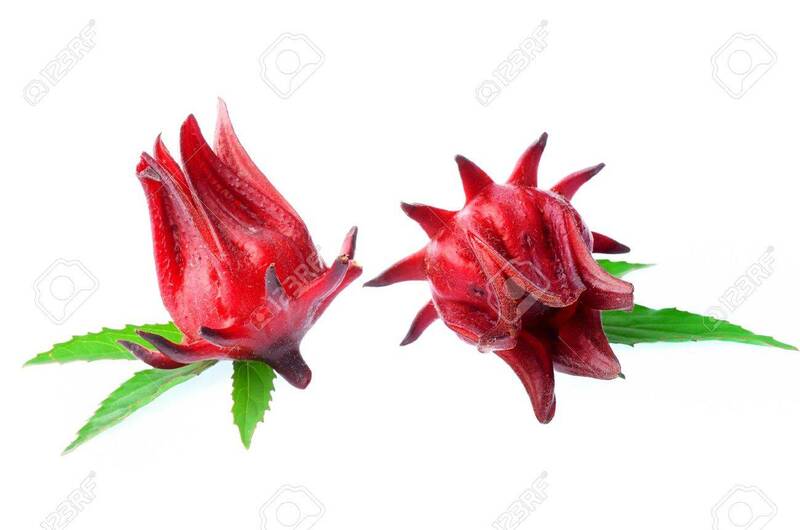 There are three types of roselle, identified by their colours – the dark red type has the highest content of anthocyanins, followed by the light red type, while the green type has only traces of the antioxidant pigment or none at all, reported the Journal Of American Science in 2010. Anthocyanins are said to promote cardiovascular health. Roselle flowers, whether fresh or dried, have similar levels of efficacy. The flowers should be whole and free of contamination during purchase. I boiled the roselle flowers with screwpine leaves (pandan) for about 45 minutes. Then sieved and poured out the roselle tea. As roselle is naturally sour, I added raw honey to it. The lightly sweetened roselle tea is for the girls. I prefer mine sour and without any honey. I read from some recipes that the seeds are removed prior to boiling the petals but busy lazy me gave up removing the seeds after I discovered that the process was pretty time consuming. I never like to spend too much time in the kitchen. I did a quick google search to see if the seeds are poisonous or edible and what I found was an eye-opener. Roselle seeds are a good source of lipid-soluble antioxidants, particularly gamma-tocopherol. These seeds are even packaged for sale. 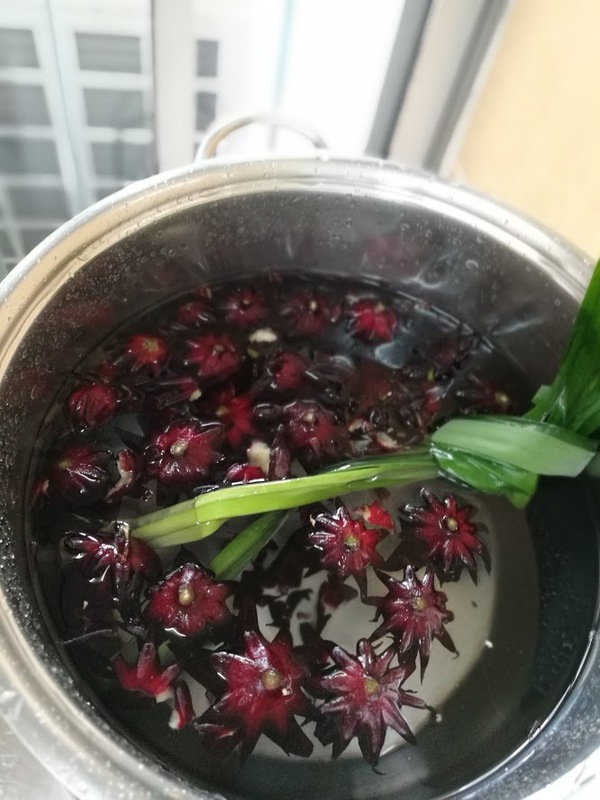 So what the heck, after washing the flowers thoroughly, I dumped everything into the pot, filled up the pot with water and boiled it for 45 minutes or so. 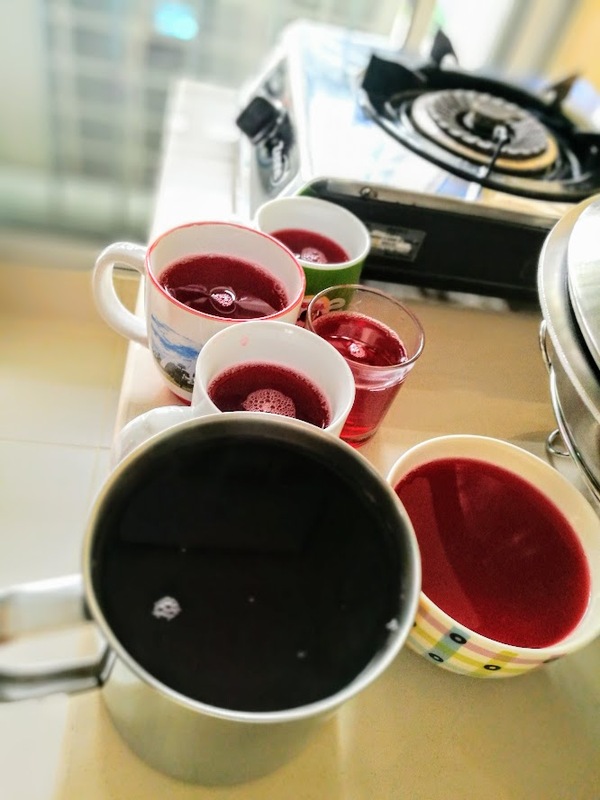 The RM3.50/packet of roselle flowers bought from the organic shop managed to yield about 10 glasses of roselle tea. What a cheap health drink this is and the girls loved it when chilled or with ice-cubes added. I am definitely going to prep this tea more often. I can also use it to make jelly for my jelly crazed girls. Roselle pandan tea with raw honey is so refreshing, especially when chilled. According to an article extracted from The Straits Times in Singapore, people with neutral or “heaty” bodies can benefit from taking a “cold” herb, such as roselle flowers, to balance their body constitutions. 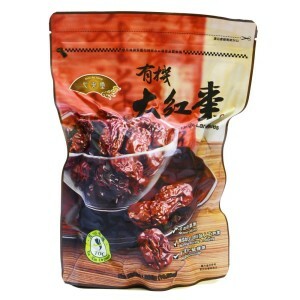 It is also suitable for those with hypertension and high cholesterol. Daily consumption of a tea or extract produced from roselle flowers has benefits for adults, according to a review of human and animal studies published in the journal for the study of medicinal plants, Fitoterapia, in March 2013. Specifically, it helped to significantly lower one’s systolic and diastolic blood pressure in people with pre-to moderate primary hypertension and type 2 diabetes, based on results from randomised controlled trials. In addition, the tea was as effective at lowering blood pressure as the drug Captropril, but less effective than another drug, Lisinopril. Both drugs are used to treat high blood pressure. More than half of the trials showed that daily consumption of roselle tea or extracts improved one’s lipid levels. 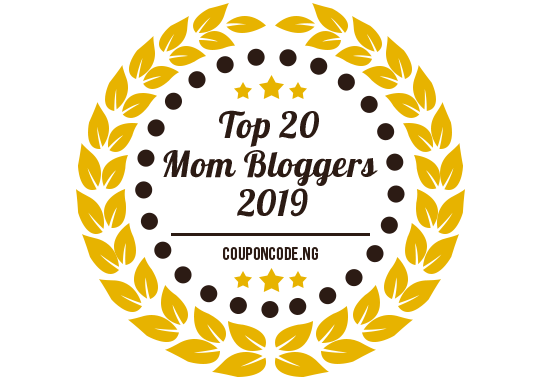 Namely, it lowered participants’ levels of total cholesterol, low-density lipoprotein or “bad” cholesterol, and triglycerides. At the same time, it boosted their levels of high-density lipoprotein or “good” cholesterol. The observations were likely a result of the antioxidant effects of the anthocyanins. These compounds inhibit the oxidation of “bad” cholesterol, hence impeding the development of atherosclerosis (hardening of the arteries), which can lead to cardiovascular disease. 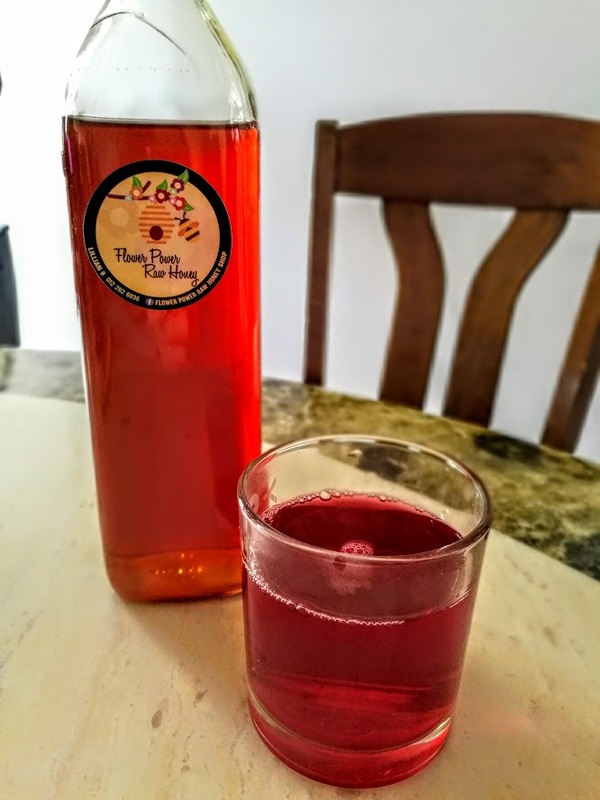 Roselle tea makes for an excellent low-calorie healthy beverage for the entire family. I love the bright red color of this drink that packs a healthy punch too. I have never really fancied eating oats, though I eat it pretty often, for health sake. I have genetic high cholesterol and oats are one of the most readily available and affordable foods that can help to bring down bad cholesterol level. Thankfully Cass likes eating oats. While her two sisters have toasts for breakfast every morning, she’s happy with a cup of hot sugar-free cocoa drink with fresh milk and organic oats. This reminds me that I must fix an appointment with my doctor to check my cholesterol reading again! What I HATE about getting cholesterol levels checked is the darn fasting for over 10 hours. That’s my number 1 turn off. I don’t understand why most doctors never come into their clinic on time!! Note to self: must stop procrastinating! Today I had organic rolled oats with vegetarian crispy floss for breakkie. I like to experiment combining a variety of foods to break the monotony of having food prepared the same way over and over again. And this combo is for keeps. I love it! 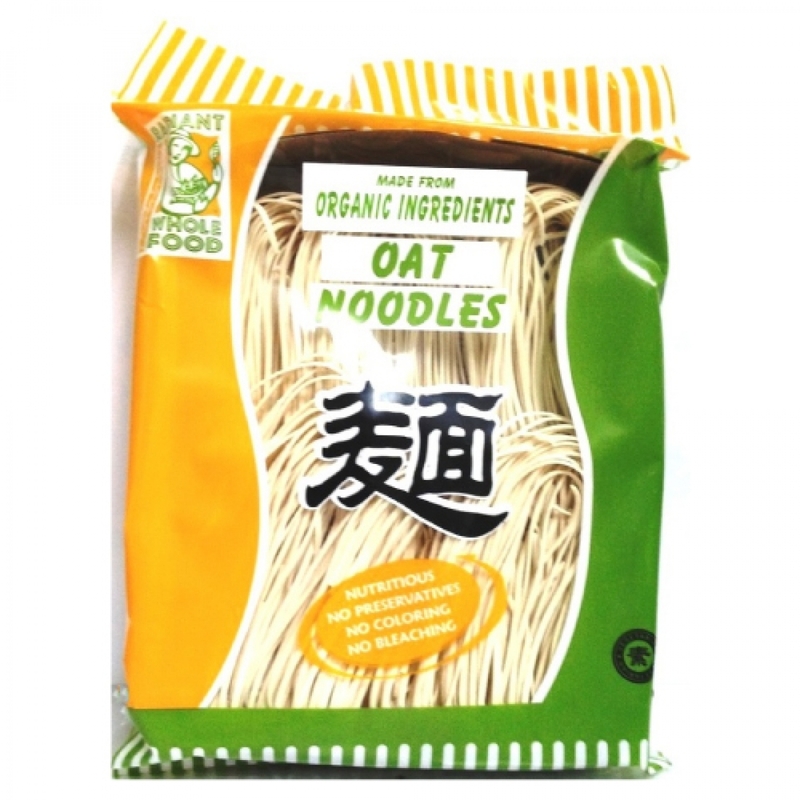 The lightly salted and crispy vegetarian floss with seaweed and sesame seeds add a lot of flavors and texture to the otherwise dull and tasteless oats. I love food that is crispy and this combo sure beats the boredom of eating oats hands down! 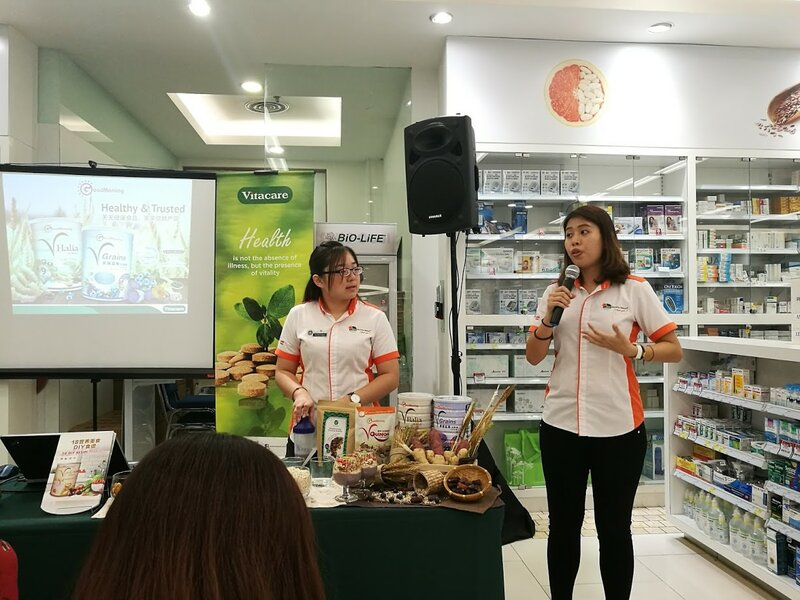 Nature Quest’s vegetarian crispy floss can be purchased from organic shops, Cosway outlets and selected supermarkets. I got mine from the organic foods section of De Market. I add the crispy floss to spice up porridge, as filling for sandwiches and tossed onto fried rice, noodles, salads and yoghurt. Crispy Floss can also be used as one of the ingredients for sushi. Yesterday I have been SO BUSY that I forgot I was over exhausted! The past one week has been really really hectic for me. Applications for purchase of Izumio and Super Lutein have been high as the promotion for 1 free product ends on 30 Sept 2016 and many people are submitting their applications at the eleventh hour. 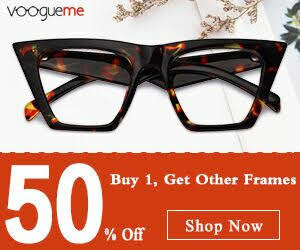 My online store business has been pretty busy too. Yesterday morning, I woke up with a slight throb on my head due to lack of sleep. I told myself that I would just skip exercise for the day and instead hop back onto bed after sending the girls off to their transporters. But the determined fitness freak inside me screamed out to me to just get onto the walking tracks. And so I did, for half an hour. But as I walked, I could feel my heavy eyes drooping. I was dozing off on the walking tracks, in the pre-dawn darkness. Have you ever felt so frazzled and sleep deprived that you actually dozed off while walking or driving? I had many times. I know it is dang dangerous to snooze off for even a few seconds while driving. I did not even have the energy to run and I soldiered on for half an hour of brisk walking yesterday and this morning. Back home, I just wanted to plonk my weary body onto the bed. But I downed a packet of my hydrogen infused water. And what do I know? After my shower, I worked in front of my computer until 6pm! Non-stop, except for leaving my desk to prepare lunch for Cass and for toilet breaks. I was so busy that I had totally forgotten that my body was exhausted. I even skipped my usual daily 20-minute power nap. In the evening, I downed another packet of hydrogen water. I really needed extra packets of hydrogen water yesterday to give me the energy as I was totally zonked out. Iz**** really rocks!! How can I ever function without my most trusted Iz****? My life as a work-from-home-mum is REALLY TOUGH and hectic. I find that it’s way more stressful that having a full-time job at the office. And I CANNOT afford to fall sick. Thankfully I have my Iz**** to keep me mentally and physically strong. Today I am feeling a tad lightheaded from having my eyes glued to the computer screen on top of filling out so many forms for the past 2 days, with no break to rest. 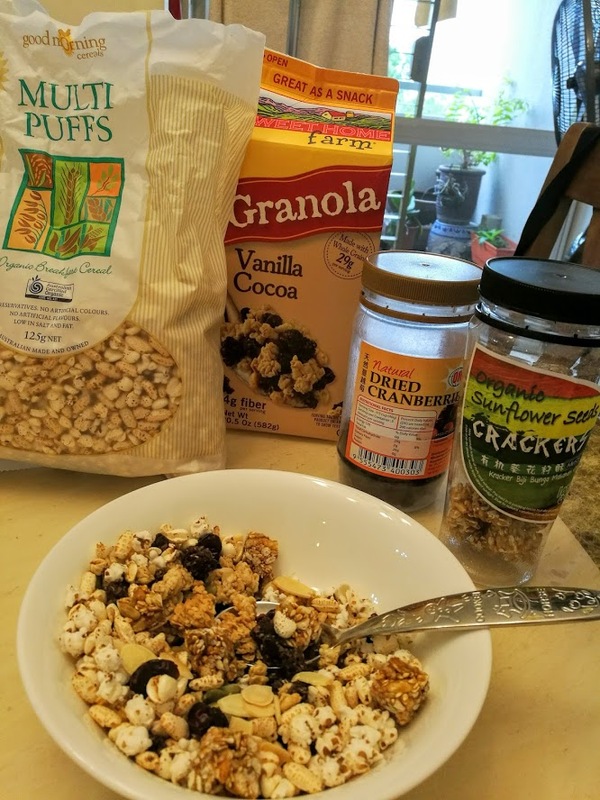 Yesterday’s breakkie – Vanilla cocoa hazelnut granola with organic multi puffs (puffed buckwheat, sorghum and brown rice), organic sunflower seeds crackers and dried cranberries. I didn’t have the appetite to eat anything more than this. 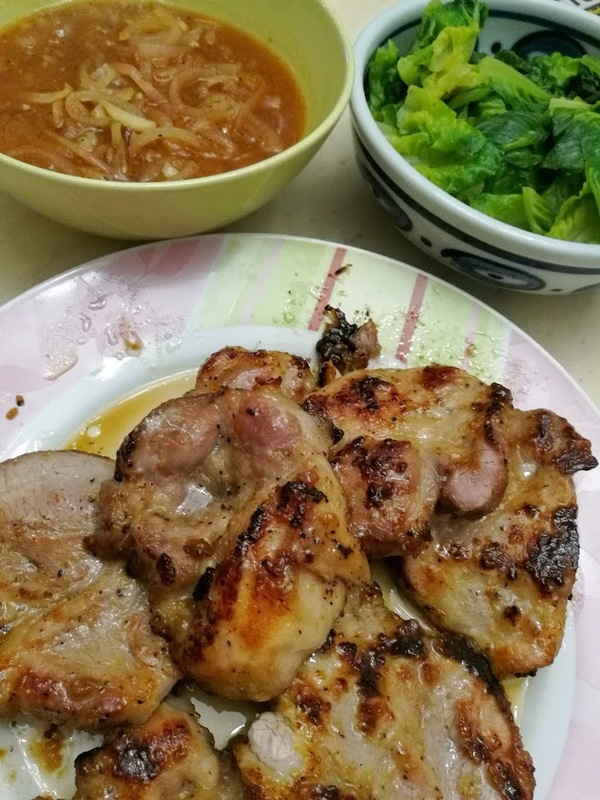 Yesterday’s dinner was pork chop loin with onion sauce and blanched veggie. Cooking was done pretty late again. Thank God for Drama Queen who helped me to cook the rice, wash the vegetables and fry the onions sauce when she got home from school at 4pm. Today is yet another super busy day and I still haven’t got the chance to take my power nap to recharge my batteries coz I’ll have to leave the house in a bit to get some errands done. I’ve already delayed doing them for days and I can’t procrastinate anymore. After 40 minutes of outdoor workout this morning, I downed a packet of hydrogen-infused water, which gave me an instant power boost. 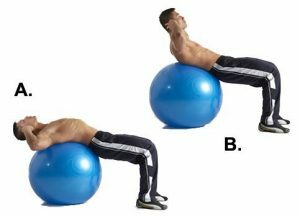 Since I felt rejuvenated, I did some back stretching and Swiss ball crunches (image below) on my fit ball. Suddenly, I didn’t feel sleepy anymore! When our muscles are fatigued, lactic acid is released and our body produces hydrogen to compensate. When we pump in more hydrogen into our body, the hydrogen which is a natural antioxidant neutralizes the over production of lactic acid in the blood stream very quickly. Thus we recover quicker and feel rejuvenated. Try it!!! If you are active in sports, do away with whatever you’re drinking now and try hydrogenated water. 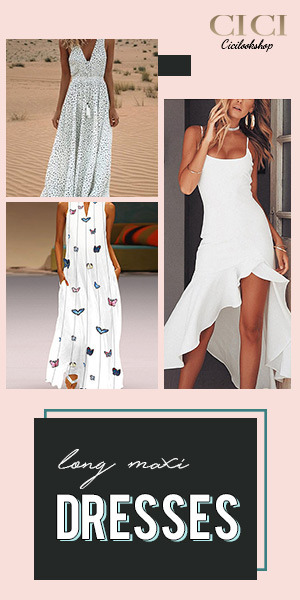 You can email me at shireenyong@gmail.com to inquire more. Breakfast was sugar-free and additives-free plain yoghurt with organic chia seeds, almonds, pumpkin seeds, sugar-free peanut butter and a swirl of palm sugar. Lunch was pork porridge with shredded carrot strips and sweet potato, seasoned with pepper, sea salt and spring onions. The big girl just announced that she needn’t have to go to school this Saturday, wooohoooo!!! Finally I get to sleep in this Saturday, can’t wait for that! Skinny sugar-free, preservative-free and additives-free yoghurt with Pic’s sugar-free cashew butter, toasted pumpkin seeds, organic chia seeds, raw walnuts, blanched skinless almonds, drizzle of maple syrup and a small handful of coconut cookies. I am surprised that Cass loves Farm Fresh’s sugar-free yoghurt, which is a tad sour and light. She says it tastes like Moo Cow frozen yoghurt, except that Farm Fresh yoghurt is not frozen. I agree with her too! She likes to eat her sugar-free yoghurt with cashew nuts and crumbled homemade cookies. Lunch was baby greens salad with organic cherry tomatoes, Korean kim chi, almonds, cashews, walnuts, pumpkin seeds, toasted sesame seeds, sauteed minced pork and salad dressing composed of organic apple cider vinegar + maple syrup + dash of naturally brewed soy sauce. Stir-fried baby spinach, braised tofu with fish paste and sweet and sour fish fillet. How unfair can life be! Oh well. Nothing is fair in life. Like, why do some people who lead a healthy lifestyle still get cancer? For all the hard work I put into my diet and exercise regimen for the past 8 months, my cholesterol reading has gone done a wee bit. And that’s without medication. Only with supplements like fish oil, hydrogen water and carotenoids. That’s why I am pushing myself to swim 24-26 laps on top of brisk walking for 15 minutes, 5 mornings in a week. Exercise is important to bring down cholesterol. And I am about 80% vegan now. I can’t give up on meat totally now as I am slightly anemic. I have a fibroid in my uterus that causes heavy menstruation each month. I need meat to supply me with the iron. No doubt I can ditch the meat and eat red beans, spinach and other iron-rich veggies but it is hard when I have carnivorous kids. I am still training them to go easy on meat and they are aware that too much meat is too taxing on their innards, besides all the growth hormones and antibiotics that go into the animal feed, which eventually end up inside our bodies. These days, my meals compose of mainly greens, whole grains, nuts, seeds and fiber. A packet of hydrogen water, high fiber cereal with added organic oats, organic chia seeds, roasted pumpkin seeds, raw walnuts and skim milk drizzled with extra virgin coconut oil and a squirt of palm sugar syrup to give me the oomph. Lunch was half a punnet of organic raw alfalfa and broccoli sprouts with apple cider vinegar and roasted sesame dressing and a quarter bowl of Ipoh ‘kai see hor fun’ (shredded chicken flat noodles), which I shared with Cass.